Would you rather spend today or save today? This is one of the behavioral problems with saving: immediate gratification. It is much more fun to spend your money than it is to save it. You feel immediate gratification when you spend. This Ted Talk features economist, Shlomo Benartzi, who discusses how to turn our behavioral problems into behavioral solutions and save for retirement. 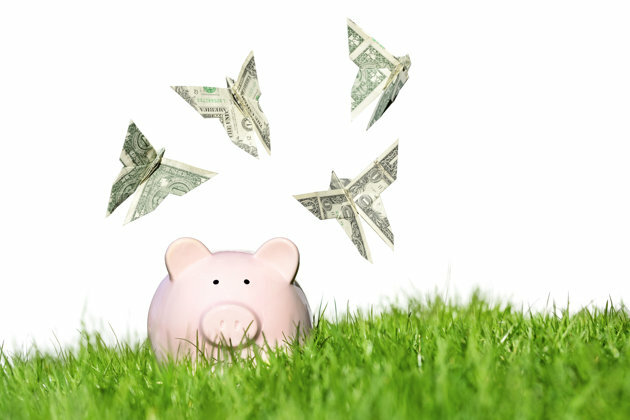 How do you step outside of the textbooks and help your children learn about personal finance? There are six tips to help your children experience the meaning behind personal finance. To learn about giving children an applicable finance learning experience, click here. Could you have money to claim? While some people leave records behind in a superbly organized "in case of my demise" file, it's not unusual for others to pass away without letting relatives know about the existence of a life insurance policy. When someone's life insurance is lost or goes unclaimed, tracking it down can take some detective work. But it may be worth your time to see if a loved one left you something besides memories. Are you leaving money on the table? Read the full article to see how to find out. In the recent Wall Street Journal article "Workers Saving Too Little to Retire", Kelly Greene and Vipal Monga present survey results predicting retirement crisis for both U.S. workers and employers. Fifty-seven percent of U.S. workers surveyed reported less than $25,000 in total household savings and investments excluding their homes. 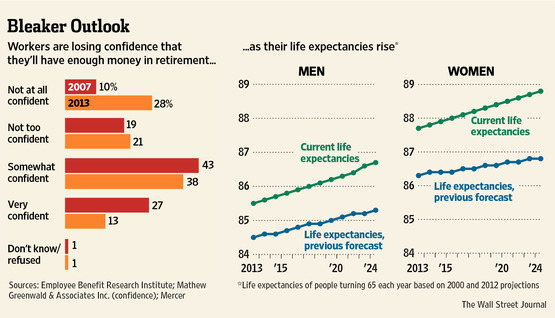 28% of Americans have no confidence they will have enough money to retire comfortably. The percentage of workers who have saved for retirement plunged to 66% from 75% in 2009. Put simply, we suggest that if you want to live more freely and enjoy more in retirement, spend less and save more now while you still have the opportunity. 79% of 1,008 U.S. adults surveyed in February said that they have committed a money mistake – and of those, 26% reported not having saved enough for retirement as their No. 1 problem. 20% of workers saying they need to save between 20 and 29% of their income to achieve a financially secure retirement, and 23% saying they need to save 30% – or more. Job uncertainty and making ends meet were the most pressing financial issues faced by both workers and retirees. So how do you catch up or get ahead while you still have the opportunity? Follow those two simple principles: save more and spend less. Adjust your budget to live more modestly and bulk up contributions to your retirement accounts. You'll be glad you did.